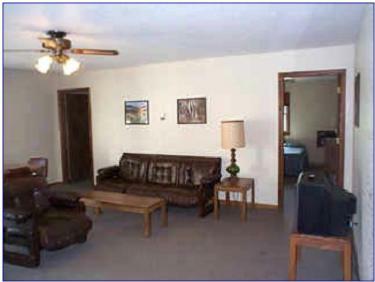 21 Room Motel - GREAT for Bass Clubs and Family Reunions! 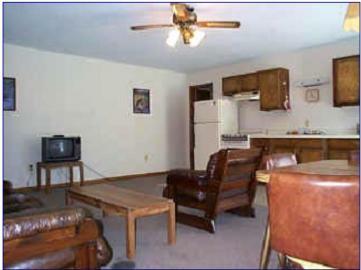 Motel Rooms: Boasting the Lowest Rates on Truman Lake, our Clean, Spacious Rooms are all equipped with air conditioners, heat, TV, and individual outside electrical hookups. 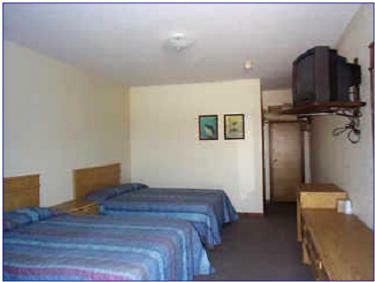 All rooms are equipped with double beds, T.V., and air conditioning. Kitchenette has a kitchen, a living area, and two bedrooms - each of which contain a double bed AND a roll-away bed. Kitchenette: kitchen, living area, two bedrooms - each containing a double bed AND a roll-away bed.